iPhone 8 To Be Called “Decade Edition”? 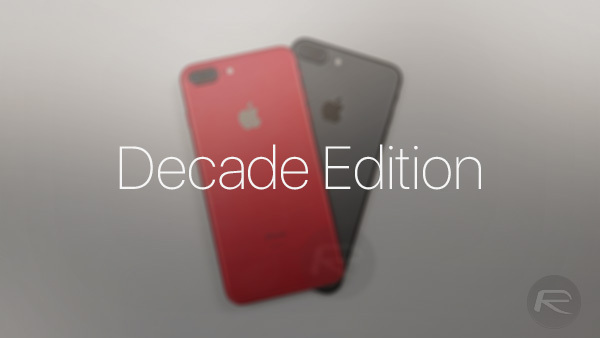 A new leak of a claimed iPhone 8 screen protector suggests that Apple’s anniversary-celebrating iPhone will be called the Decade Edition. The photo, which shows a screen protector, may have given our first real idea of what the new flagship will be called. Apple’s iPhone 8 is undoubtedly the talk of the town right now, and that is even though we are a good three months or so away from when we expect Apple to finally take the wraps off its next flagship smartphone. Leaks are everywhere right now, and while some of them will undoubtedly turn out to be complete trash, others will end up having been right on the money. We don’t know yet which side of the coin this latest leak will be, but we found it pretty interesting nonetheless. With the iPhone 8 being Apple’s way of celebrating the tenth anniversary of the original iPhone, it has been thought for some time that the company will do something special to commemorate the occasion. 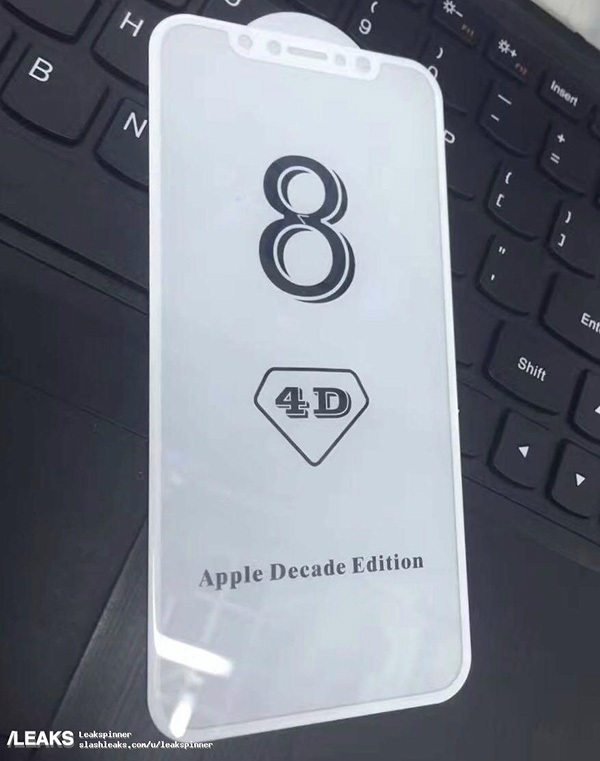 A newly leaked photo of a claimed iPhone 8 screen protector may have given us a hint as to what that celebration could entail, with the name Decade Edition now a possibility. That is the designation emblazoned on the screen protector in the photo leaked by Slashleaks recently, and while this is far from confirmation, it does give us food for thought. It is, of course, true that this is the first time such a name has been bandied about, so we would certainly not want to suggest that this leak has any particular credence to it, but given some of the strange naming conventions Apple has used in the past, absolutely anything could happen. Let’s not forget HomePod and Apple Watch Edition. It seems Apple keeps naming products when its branding people are out of town! I would not believe this. Decade is too close to decadent.